The following terms and conditions govern your visit, access to, and use of, this website located at http://www.chinamodeltoys.com operated by CHINA MODEL TOYS, and any of CHINA MODEL TOYS services accessible through the website. By using this chinamodeltoys.com or submitting an order for products or services, you indicate your acceptance of, and agreement to be bounded by, the terms and condition of chinamodeltoys.com. The contents of site may be changed by CHINA MODEL TOYS in the future without prior notice. It is you, as a user, to occasionally return to our site and receive the latest updates of the terms and condition. Any amendments of terms and conditions will be taken in effect immediately. Your usage of chinamodeltoys.com following any changes will constitute agreement to such amendments. It is possible for the contents of the site to have typographical errors, inaccuracies data or omissions for the item descriptions, pricing and availability. We reserve the right to correct any errors, inaccuracies or omissions and to change or update information at any time without prior notice. We apologize for any inconvenience caused. If you are not completely satisfied with your purchase please feel free to contact us for detail. Due to the quick turnovers of certain items, chinamodeltoys.com reserves the right at anytime to amend the number of certain products that you have purchased. If that is the case, we will contact you directly and provide you with different options available at that time. We will try our best to fulfill your order request. However, in all circumstances, chinamodeltoys.com reserves the final decision to refuse any order. 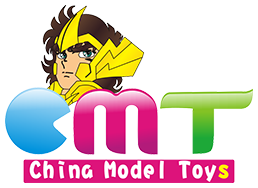 chinamodeltoys.com reserves the right to change or modify any of the terms and conditions contained in this User Agreement, or any policy of the Site, at any time without prior notice. Any changes or modifications to this User Agreement or policy will take immediate effect upon posting of the revisions. Please review this User Agreement and any other applicable policies periodically in order to understand the terms and conditions that apply.